A moment of unresponsiveness — the inability to recall what just happened…convulsions or jerking movements…sudden stiffness of the body. These are classic symptoms of an epilepsy seizure — triggered by abnormal electrical impulses in the brain. A first seizure is just what it sounds like — the first seizure a person has. The underlying cause may be determined to be epilepsy, but often the cause can’t be determined. These isolated seizures are not rare events — up to 5 percent of people in the United States may experience a first seizure that isn’t due to fever or epilepsy. A first seizure typically occurs before age 25, with most taking place in those younger than 15. First seizures seem to strike males a little more often than females, and they may not have a specific or detectable cause. However, a first seizure can affect part of or the entire brain. These seizures are caused by high fevers, and occur most commonly in infants and young children. Febrile seizures are quite common, affecting 1 in 25 children. The chances of having another febrile seizure are 25% to 30%. While frightening, these seizures don’t cause brain damage or otherwise harm children. Nonepileptic events look like seizures, but actually are not. Conditions that may cause nonepileptic events include narcolepsy (a sleep disorder which causes reoccurring need of sleep during the day), Tourette’s syndrome (a neurological condition characterized by vocal and body tics), abnormal heart rhythms (arrhythmias) and other medical conditions with symptoms that resemble seizures. Because symptoms of these disorders can look very much like epileptic seizures, they are often mistaken for epilepsy. Distinguishing between true epileptic seizures and nonepileptic events can be very difficult and requires a thorough medical assessment, careful monitoring, and knowledgeable health professionals. Improvements in brain scanning and monitoring technology will hopefully improve diagnosis of nonepileptic events in the future. Seizures that are psychological in origin are often called psychogenic seizures. These seizures are most likely triggered by emotional stress or trauma. Some people with epilepsy have psychogenic seizures in addition to their epileptic seizures. It’s a legitimate seizure and should be treated that way, but it is not caused by a problem in the brain. 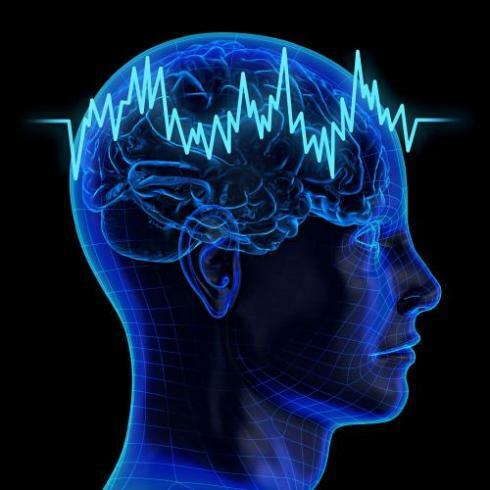 Then there are physiologic nonepileptic seizures which can be triggered by some sort of change in the brain — typically a change in the supply of blood or oxygen rather than electrical activity. Epilepsy can be misdiagnosed as schizophrenia. Some patients suffer hallucinations and other similar symptoms, or even severe psychotic symptoms, making a misdiagnosis of schizophrenia possible. Mood changes and behavioral symptoms also make a misdiagnosis of bipolar disorder possible. Eclampsia is a dangerous condition suffered by pregnant women. The symptoms include seizures and a sudden rise in blood pressure. A pregnant woman who has an unexpected seizure should be taken to the hospital immediately. Eclampsia occurs in about 1 out of every 2,000 to 3,000 expectant women. The seizures cause convulsions or changes in personality such as agitation. After the eclampsia is treated and after the woman has the baby, she usually won’t have any more seizures or develop epilepsy. Meningitis is an infection that causes swelling of the membranes of the brain and spinal cord, most often caused by a virus or bacteria. Viral infections usually clear up without treatment, but bacterial infections are extremely dangerous and can lead to brain damage and even death. Symptoms of meningitis include fever and chills, severe headache, vomiting, and stiff neck.